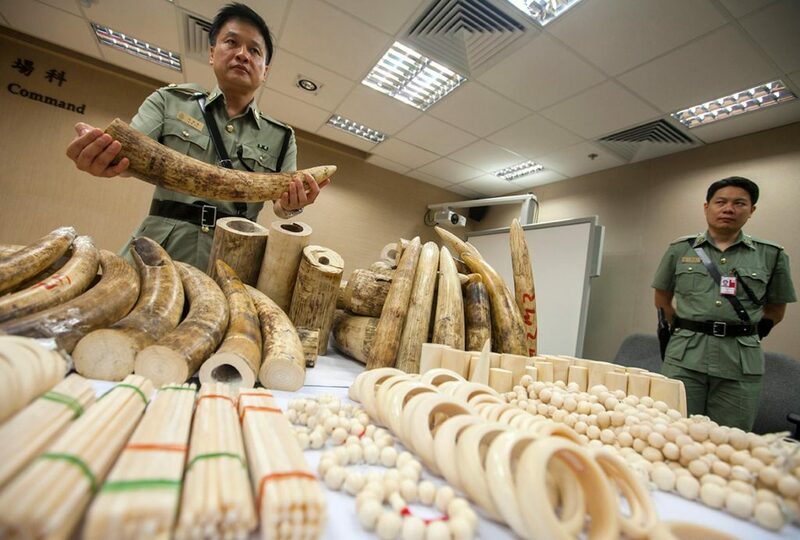 Hong Kong customs is facing mounting pressure to step up prosecutions in the illegal wildlife trade, with a recent report finding the city has become a hub for such activities as cases occur almost daily on average. The rising trend has been underestimated but it has contributed to extinction crises of species worldwide, according to ADM Capital Foundation, which co-published the study. The foundation based its findings on data over five years. 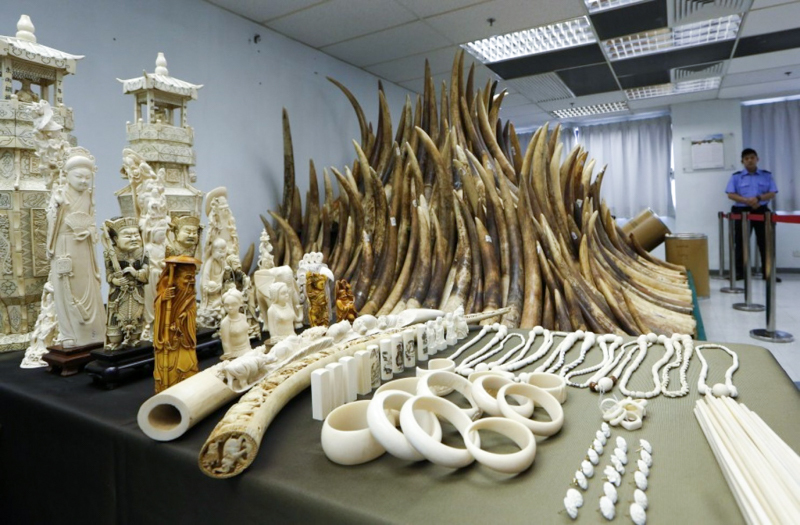 Between 2013 and 2017, it found that a total of HK$560 million (US$71.4 million) worth of wildlife products – including live and dead animals – with a weight of 1,456 metric tonnes, was seized. These included illegal ivory, pangolin scales and rhino horns, potentially equal to the deaths of 3,000 elephants, 65,000 pangolins and 51 rhinoceros. The study also noted Hong Kong recorded 2,011 seizures of species regulated under the Convention on International Trade in Endangered Species of Wild Fauna and Flora (CITES) during this period. This implied a threatened species being seized every 21 hours. The report, compiled by various groups and legal academics, recommended that the government establish a wildlife crime unit or bureau under the Customs and Excise Department, as well as develop a wildlife trade database and expand forensic capacity. Justin Gosling, a consultant in law enforcement and criminal justice, and who was not involved in the study, said he agreed the city should ramp up its investigative capacity. “The figures we see in the report are likely to be just the tip of the iceberg in terms of what’s actually going through the region and which is not being detected,” Gosling said. He expressed surprise at the large volumes of seized scales from the endangered pangolin revealed by the report, adding he believed organised smuggling activities were to blame. Among the 379 seizures from 2013 to 2017 reviewed in the report, most came from shipping containers arriving from at least 45 countries, with about 70 per cent from East Africa. However, only 1 per cent of the cases led to prosecutions. On the other hand, air passengers accounted for 78 per cent of prosecutions. Gosling said the numbers indicated a “fundamental lack of investigation”. Conservationists in Hong Kong have called for wildlife offences to be included under the same laws against organised crime, for greater deterrence and investigative firepower. Most wildlife smuggling cases are now prosecuted under the Protection of Endangered Species of Animals and Plants Ordinance (Cap 586). Maximum penalties were recently raised significantly to a HK$10 million fine and 10 years’ imprisonment, up from a HK$5 million fine and two years in jail. Report co-author Amanda Whitfort, an associate professor at the University of Hong Kong’s law faculty, said the wildlife trade in Hong Kong remained under-policed and underinvestigated. 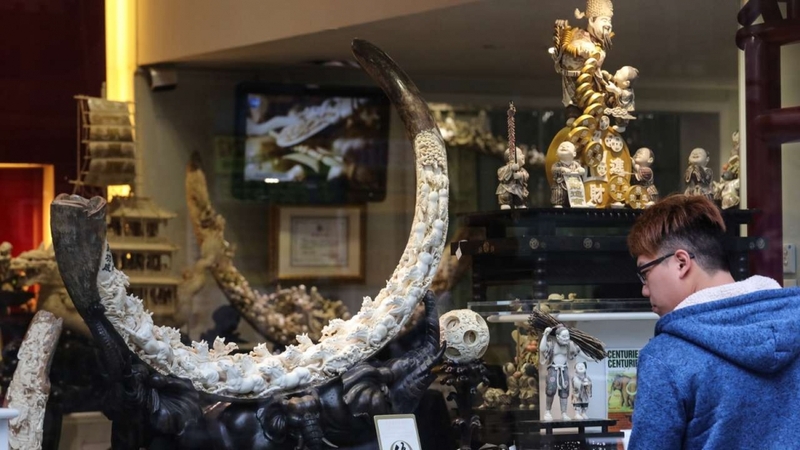 “Failure to include wildlife smuggling as a crime under the Organised and Serious Crime Ordinance, Cap 455, hampers authorities’ powers to effectively prosecute those behind the networks and syndicates that take advantage of Hong Kong’s position as a major trading port,” she said.